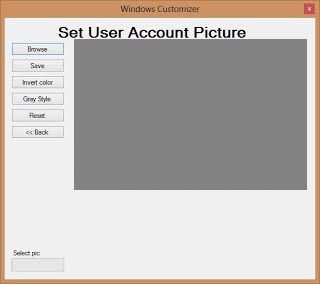 If you&apos;re using cracked copy of Windows 8 then in most of cases you can&apos;t change user account picture and you also can&apos;t change color scheme, But with Windows Customizer 3.0.0.0 you can change it. 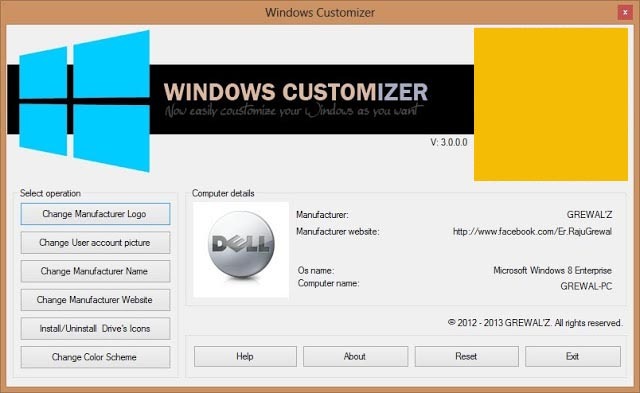 For run Windows Customizer 3.0.0.0 on Windows Vista or 7.NET 4.5 should installed. For run Windows Customizer 2.5.0.2 .NET 3.5 should installed. You can download latest version of .NET from here. 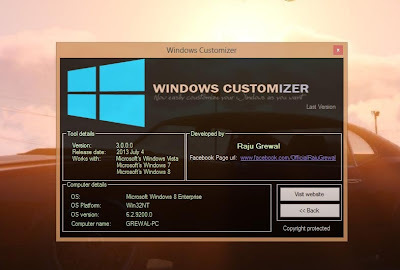 If you are using Windows 8 then you should use Windows Customizer 3.0.0.0. Windows Customizer is copyright protected. You canâ€™t modify Windows Customizer. Windows Customizer is not for sale. You can upload Windows Customizer into any website (you have no need to ask for this). You can make any numbers of copies Windows Customizer. For run Windows Customizer make sure that no file should delete (why you donâ€™t read me.pdf does not matter). 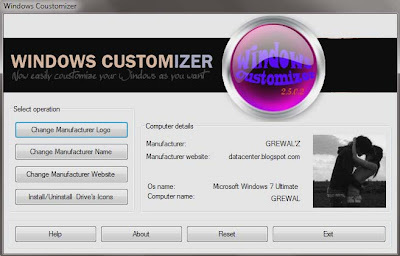 For more information about use Windows Customizer click here.